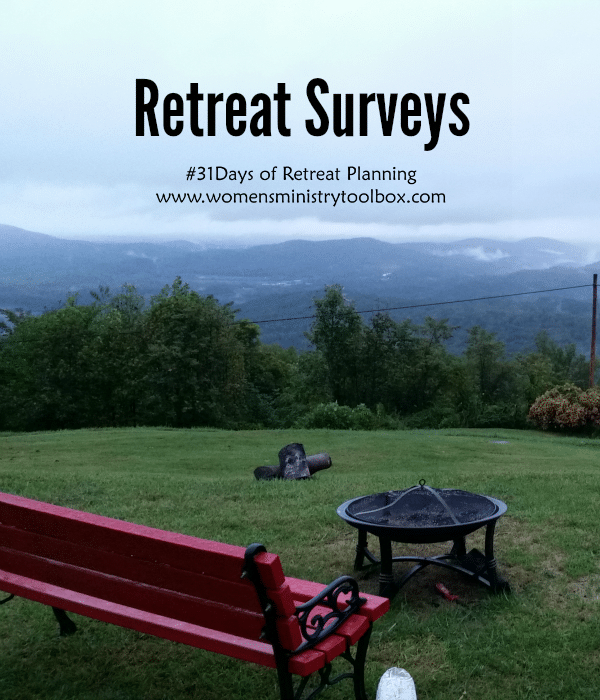 Yesterday we talked about having the women at your retreat complete a retreat survey. 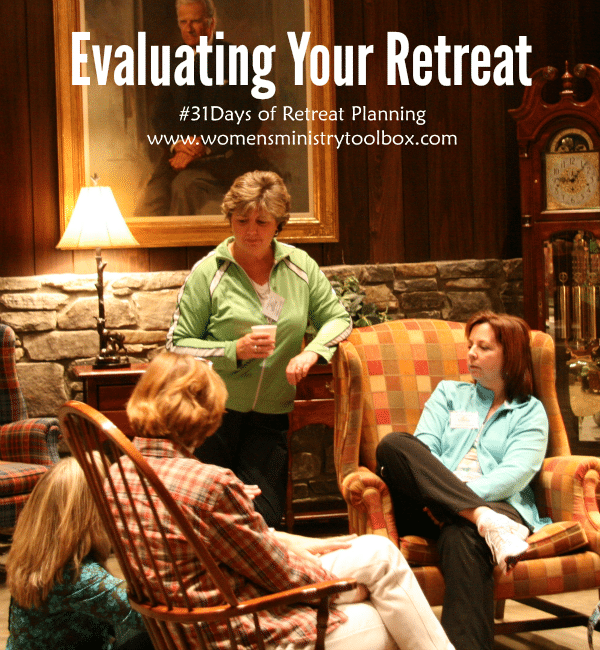 But there’s a second piece to evaluating your retreat – your team evaluation. We can’t see, hear, and be everywhere during the retreat. The best way to gather real and honest feedback is to have your women fill out a survey at the end of the retreat. Most, but not all, of the retreats I’ve been on have had a time of sharing at the end of the weekend. 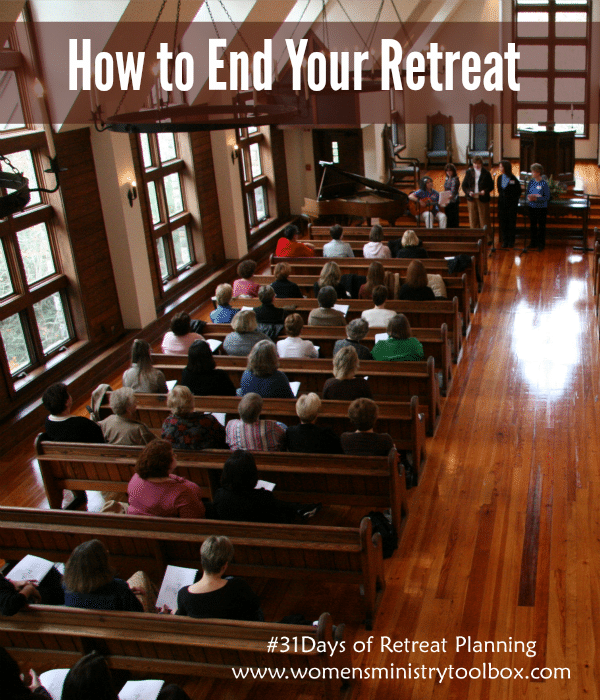 It can be encouraging to your retreat planning team and your attendees to hear how God’s been at work during the weekend. Prayer Stations can provide an opportunity for your women to respond to God, meditate on His word, and connect with the retreat message on a deeper level. 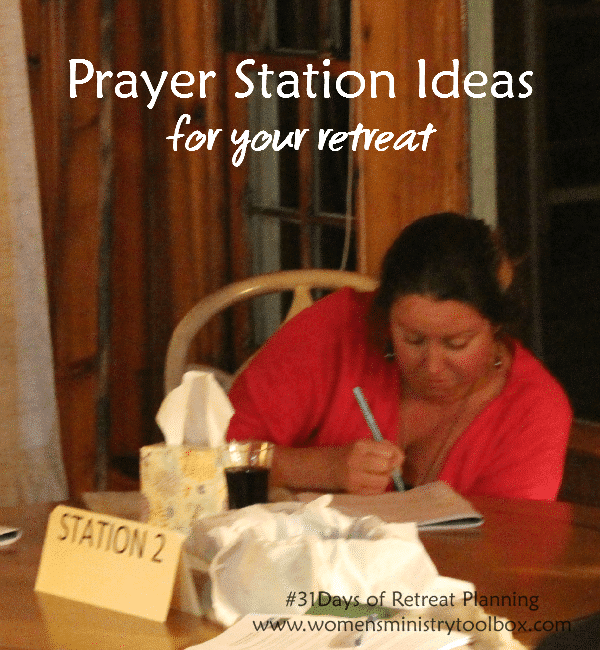 We used Prayer Stations at our retreat this fall and it was a huge hit! We’ve talked about praying before your event, but what about praying at your event? 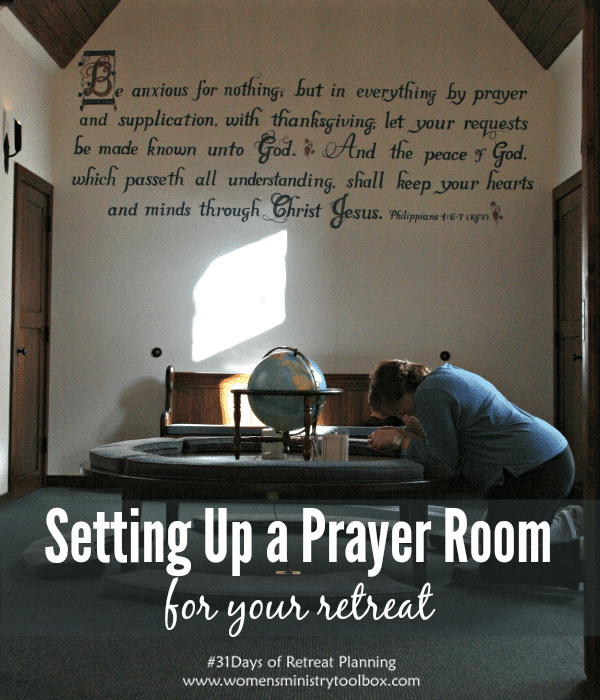 Today I want to share some ideas about setting up a Prayer Room at your retreat. Tomorrow, we’ll talk about Prayer Stations. 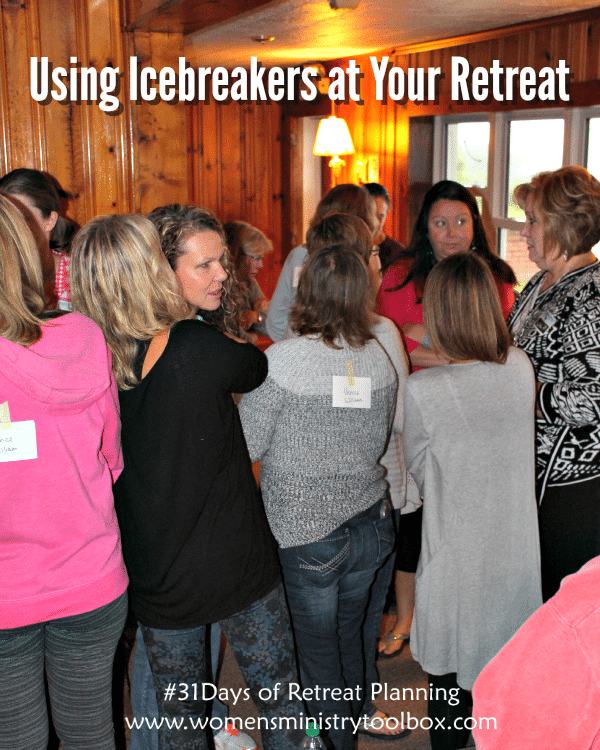 No matter the size of your retreat group, there will be women that do not know each other. Whether it’s because they attend a different service, a different Sunday school class, or came with a friend, they will need opportunities to make connections. 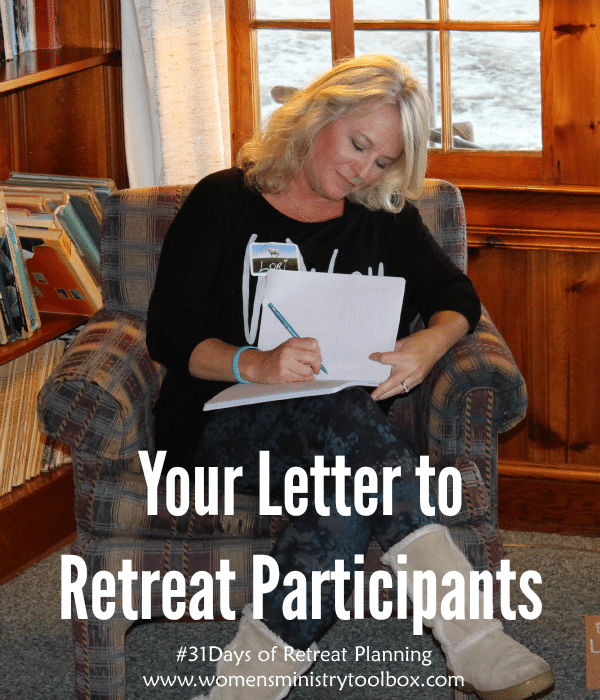 As was modeled before me, our teams have always sent a letter to the retreat participants. Back in the day we used to send them through the mail, however due to the fact that almost everyone has email and postage can add up quickly, we now send them electronically. Please note: This post was originally published on October 30, 2014 and has been edited and updated to include more information. Between the speaker sessions, discussion groups, prayer, meals, worship, and icebreakers, the schedule is filling up fast! 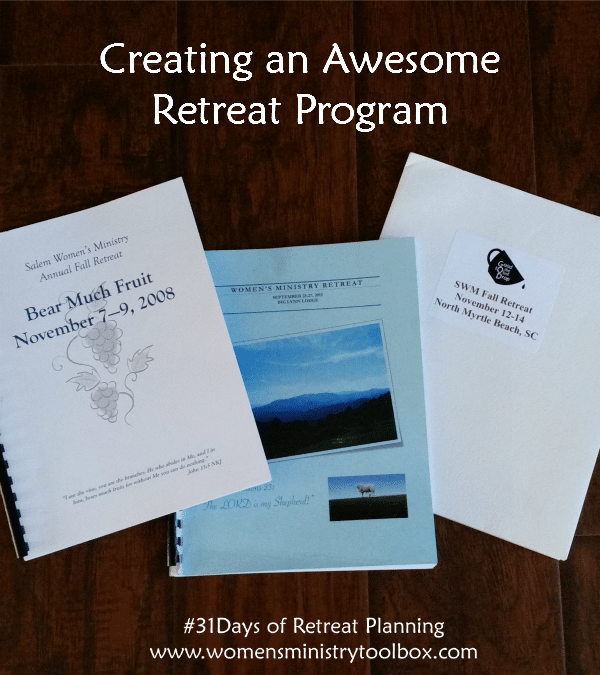 It’s probably no surprise that I love retreat and conference programs! Registration is a great task for your type-A girls. 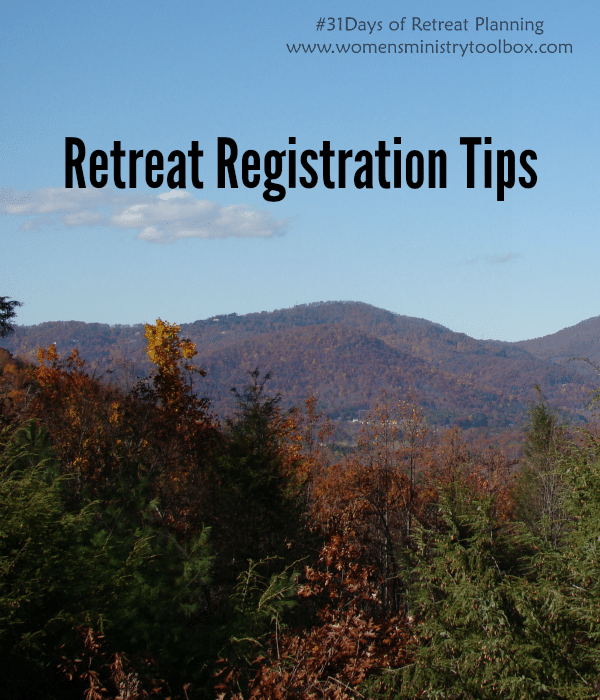 You need someone who is detail oriented to oversee your retreat registrations. 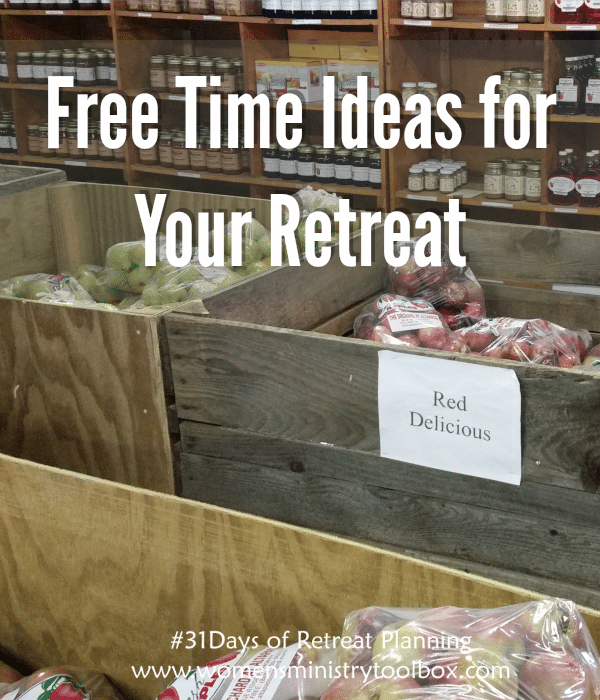 Day 14 – What should you charge for your retreat? We’re getting into some sticky and uncomfortable territory today. 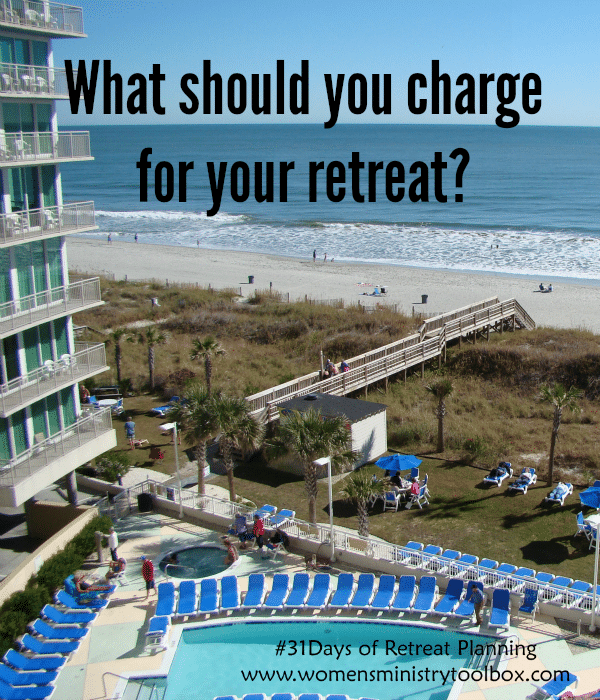 Pricing your retreat right is a big deal. And it’s hard. And if this is your first retreat, this part probably has your shaking in your boots. 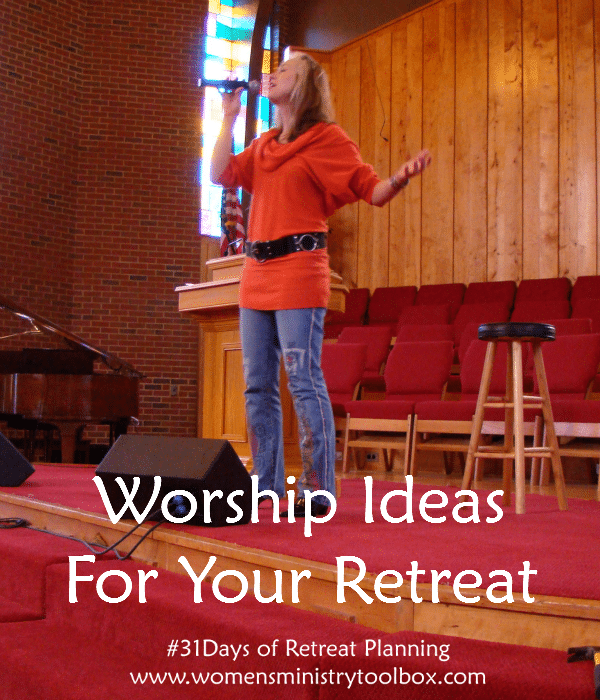 Music is a must for any retreat!